This dilemma case was designed for a junior level immunology course. It could also be used in a microbiology or bacteriology course where the emphasis is on treatment as well as disease. 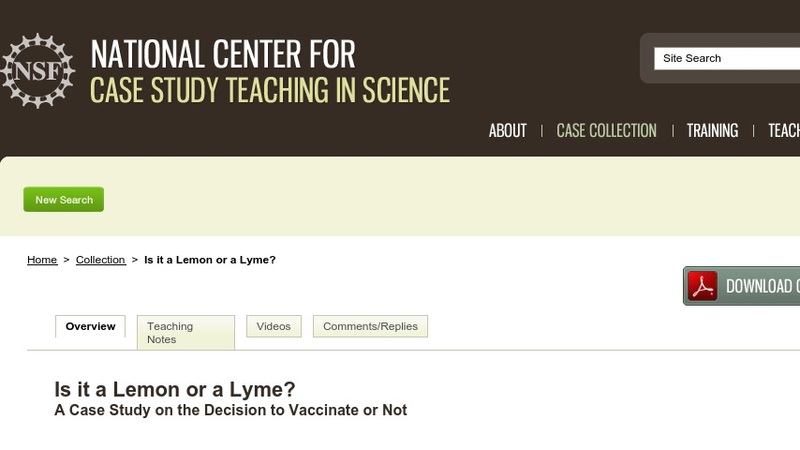 Although the case revolves around a particular microbe that causes Lyme disease, the central question is “Should a person get vaccinated given the associated risks and benefits?” Students are assigned to one of five groups that cover the epidemiology, etiology and pathology, prevention and treatment, laboratory diagnosis, and vaccine for the disease; each group is given a question to research, which they then present on to the rest of the class.